Today we are proud to announce that PagelyÂ® is taking advantage of the “Real Opportunities for Louisiana grant” and relocating to the great state of Louisiana. This move enables us to better serve the global WordPress community from below sea level. Part of Pagely’s obligation in receiving this grant is to bring technology innovation to Louisiana. With that task in mind, we could think of no better time than now to start what we consider the next chapter of Pagely’s growth: Data Centers owned and operated by Pagely. To achieve this goal we’re also partnering with Dell, Cisco, and AMD for hardware and local Louisiana contractors for site construction (local jobs for local folks). Some of our customers may be concerned about uptime. The migration of your sites from AWS to our new VPS.ly service will be seamless since AWS has also generously volunteered our IP space, meaning absolutely no downtime for your sites as we move them. For our customers in AWS regions outside of the US, we’ll be remaining on AWS Data Centers until we can deploy VPS.ly Data Centers in your locations. As for Pagely going green, no one can dismiss AWS’ mission of sustainability but who wants a “long term goal” of 100% renewable energy when Pagely’s going to bring it now. 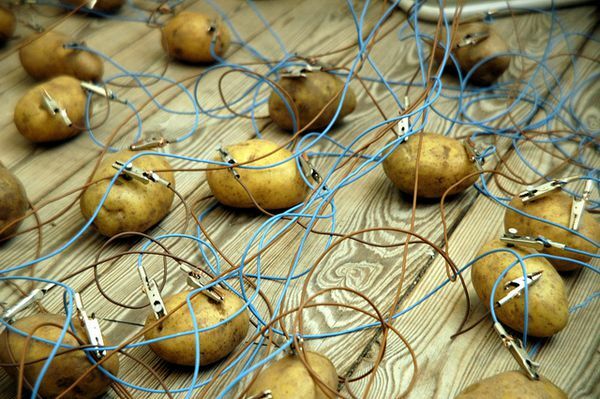 Since Pagely started Managed WordPress nearly 10 years ago, all of our employees including the president have been using zinc and copper terminals to drain electrical potential from the potatoes and lemons we’ve consumed into Pagely’s other great invention; the Charge.ly storage device. We’ve stored in excess of 2 million megawatt hours to date which should allow us to operate VPS.ly at 0% emissions for the next 10 years while our employees continue to be scurvy free and meeting their daily recommended value of starch. We know this is all huge news, so as always if you have any questions please don’t hesitate to reach out to us at vps.ly@pagely.com, Cheers. As a competitor to Pagely, I was thrilled to see this announcement for about 25-seconds. Then I remembered what day it is. Nice one Joshua!